The information presented on this page was originally released on April 1, 2015. It may not be outdated, but please search our site for more current information. If you plan to quote or reference this information in a publication, please check with the Extension specialist or author before proceeding. VERONA, Miss. 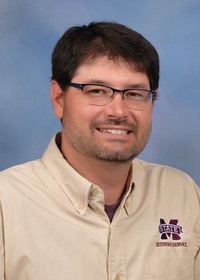 -- Six recent fruit tree grafting workshops across the state were in such high demand that the Mississippi State University Extension Service is already planning another series of training sessions for fruit growers. 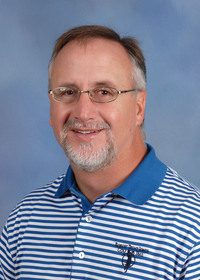 Extension horticulture specialists Wayne Porter and Jeff Wilson presented the workshops in Brookhaven, Poplarville, Goodman, Senatobia and Verona with funding from the Mississippi Department of Agriculture and Commerce. They were intended to be a one-time series to train Extension agents, but once the workshops were opened up to the public, the interest was unexpectedly high. Wilson said once the workshops were announced, all of them filled to capacity almost immediately. Participants ranged in age from young adults to one person who was 94. Wilson said there is a steady increase in the number of people who want to grow their own fruits and vegetables and see grafting as an effective method. “It’s a way they can take Aunt Betsy’s peach tree that’s been in their family for 30 years and continue that tree by grafting it to another rootstock,” Wilson said. Donna Miller, a Starkville resident who went to the workshop in Verona, said she signed up for the session because she felt in-person instruction would help her improve on previous attempts. Another Starkville resident, Kathy Elmore, had not tried grafting before, but she has grown fruit trees. She said she enjoyed learning as much as she could about horticulture. Grafting is the practice of transferring a fruiting or flowering stock -- known commonly as a scion -- onto the root system, or rootstock, of another closely related plant. Wilson said there are many key steps required for grafting fruit trees, but one of the most important is to collect scion wood during the winter when trees are dormant. Also crucial to a successful graft is ensuring a connection between the cambiums -- tissue layers that produce cells for plant growth -- of the scion and rootstock. 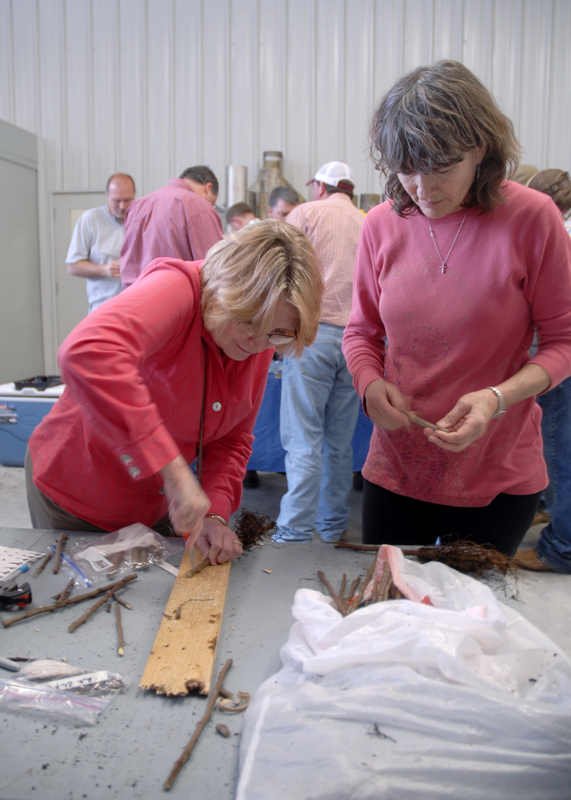 For start-up tips on grafting provided by MSU Extension staff, visit http://www.extension.org/pages/32923/grafting-grape-vines.